After a recent run of making raised panel doors, it was discovered that too many doors had been made. At the suggestion and challenge of a friend/customer, it was decided to put the extra doors to good use, and not discard them. 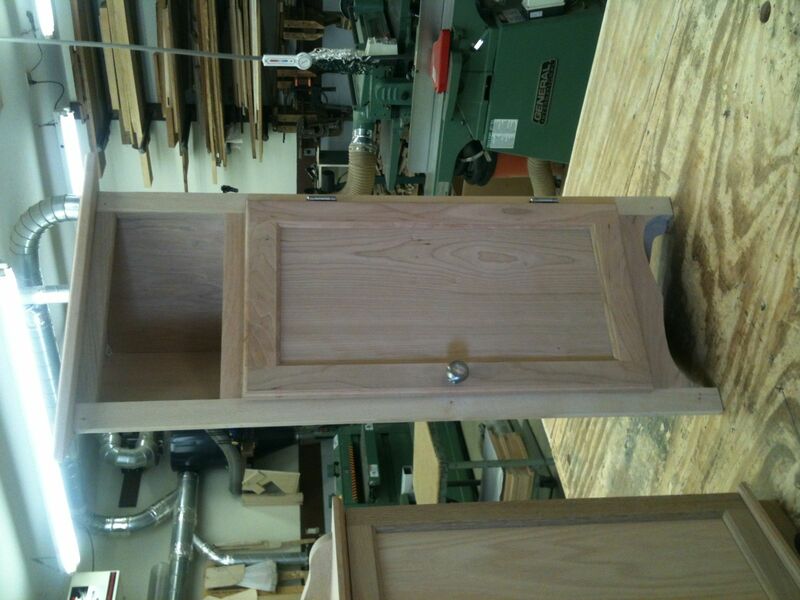 It was decided by the customer that a small corner storage/display cabinet was just thing that his wife could use. 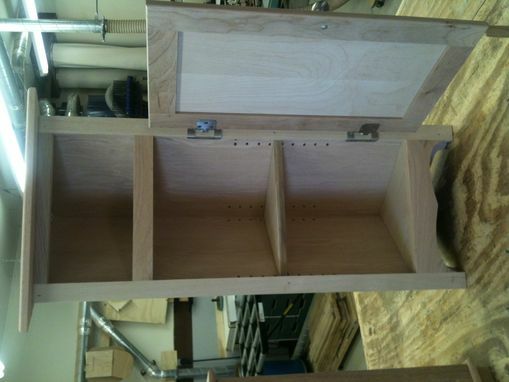 As is shown is the photos, the doors are attached with European-style hinges, and have shelves for storage. The customer chose to add a satin finish of interior polyurethane over the cherry wood. Extra doors are still available.